Shallow depth of field with my telephoto lens at 210 mm and aperture fully open at f/6.3. This male cardinal comes to visit my feeder a couple of times a week. 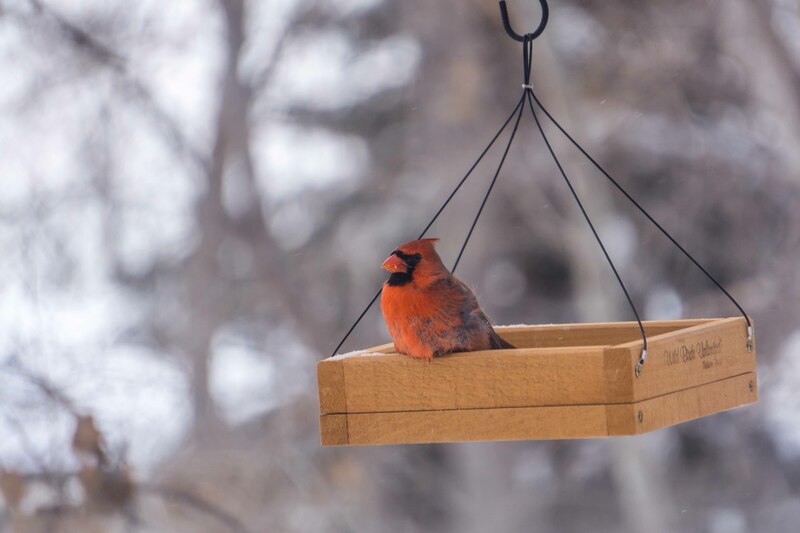 I am very fortunate to have this visitor…many people in my city have never seen a cardinal before. feathers are all floofed up since it is -20 degrees outside today. I have rejoined Nancy Merrill’s “A Photo a Week” challenge after being absent for a year or two…and hope to post weekly. Linking to Nancy’s challenge here. This entry was posted in general photography and tagged Cardinal, photo a week, postaday. Bookmark the permalink.